I recently went to see CREED II, the latest installment of the ROCKY saga. I loved it, as I have loved all of the Rocky movies, each in their own way, (yes, even Rocky V.) Each was a foundation, building upon another part of the Rocky story. Each had moments or parts that placed pieces together to link one to the other. In CREED II, we get to re-experience the character of Ivan Drago, & his son. I have to say, it was really good to see Drago again. I realized as I watched the film that characters from our past, whether friend or foe, can be comforting, and that can be in real life or cinematic in nature. I would say it’s a link of familiarity, but it’s also because of the motivational element in the Rocky saga that has affected so many in an inspirational way. Drago had been part of that motivation when I first started exercising regularly, so this new installment has a deeper connection with a prior foundational part of my personal workouts. A friend of mine expressed the same sentiment. There are strong foundations that are built through motivation, but also through the movements of our workouts. From our earliest exercises, we are strengthening tendons and ligaments, as well as building bone density so that we can endure more physical stress. I had recently gone back to some basic movements at the park as an addition to my weight training. 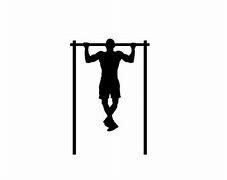 I’ve been implementing more pull-ups, chin-ups, & dips, a foundational part of my early years of exercising. 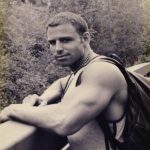 When I was 11 years old, I used to run to Saint Michael’s Park with my dogs, run up & down the stone bleachers, jump low hurdles with the dogs, (over horse shoe stations,) sprint across the baseball field, & then proceed to the monkey bars to do pull-ups, chin-ups, dips, knee raises, & upside-down hanging crunches. Rocky was a very big part of my motivation & inspiration, so it was interesting to me that a new Rocky movie was released just as I started returning to these foundational exercises. It occurred to me that strong foundations, while built in the past, can greatly affect our present, and increase the structure of our lives for the future. Strong foundations can be physical, mental, spiritual, emotional, & intellectual. Every aspect of our lives excels when we have strong foundations. It’s never too late to begin constructing or rebuilding, if a strong foundation had not previously existed. I think it’s important to remember that and to be aware of that. The brick & mortar is always there for us. We just have to know what we want to build. I hope that you’ll go see CREED II, & that you’ll enjoy it as much as I did. Have a very Merry Christmas, everyone.